The best way to get your tinny to the water! 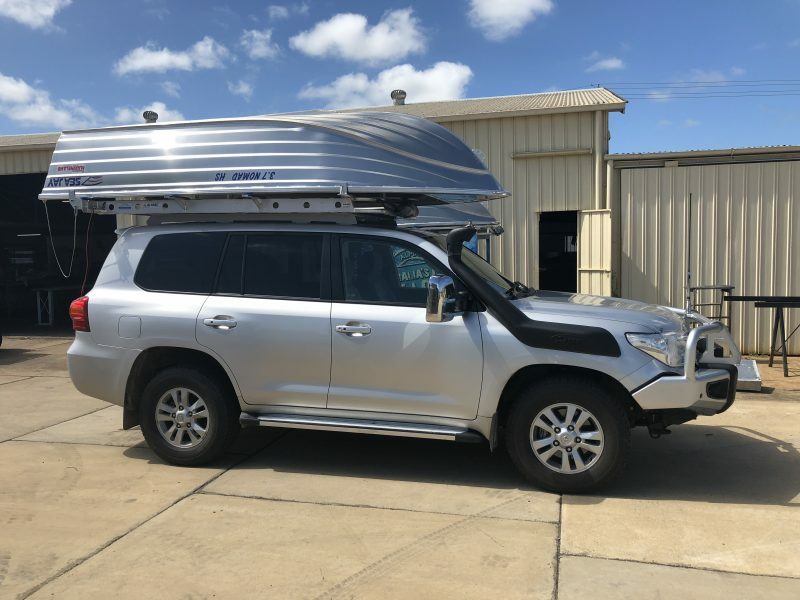 Our Boat Loader is very popular with family campers and RVers who are towing as they need a spot to store their boat other than on a trailer. 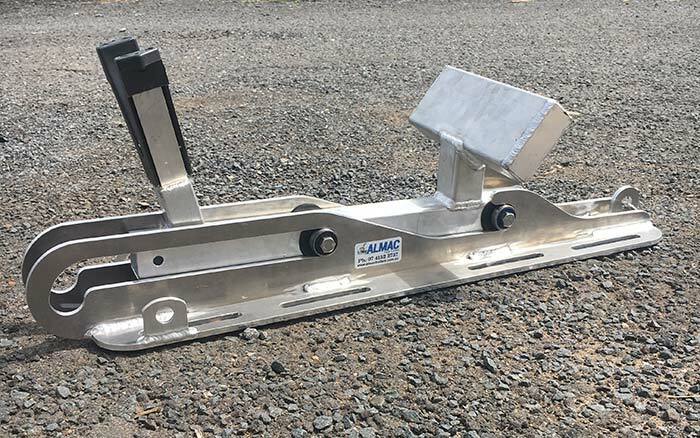 Almac Boat Loaders are one of the strongest and easiest ways to transport your tinny to your favourite fishing spot. 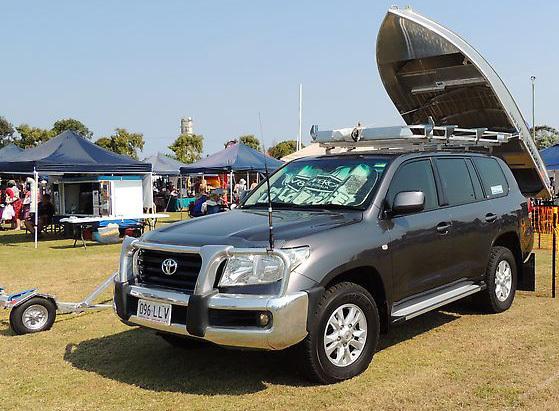 Custom made for your boat's individual requirements and vehicles load capacity, every job is designed and built with your specific needs in mind. 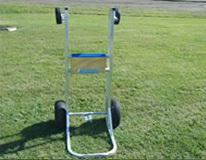 Not only is it a heavy duty boat loader but it is a complete unit, no other racks are required. All of this with the added usability of one rope and a 12 v electric winch! Why should taking your boat to the water be a complicated affair? 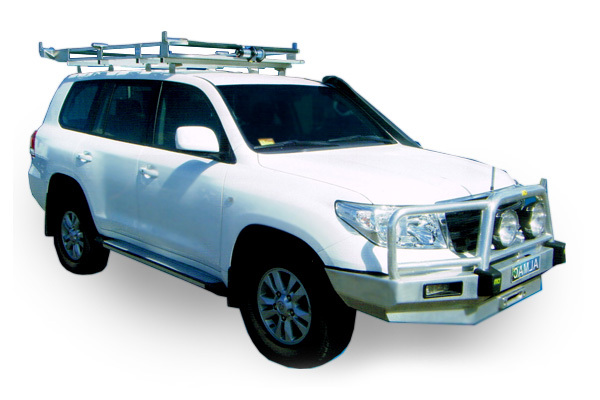 Our Boat Loader is a combination of purpose built roof rack 2 Tonne rope and a loading mechanism that combine to offer an easy to use remote controlled boat loading or unloading of your boat. It really is a simple as the push of a button and little guidance to ensure your boat moves up and down safely. Need More Reasons To Buy A Boat Loader? 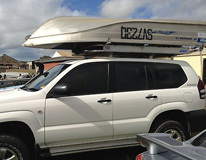 Did you know if you tow a caravan, and put a boat on top of your vehicle, you will have less fuel consumption. Why carry it in any other way?! With a fully powered 12v electric winch and a full aluminium construction, how can you possibly go wrong? Our boat loaders have been designed to really last the distance. 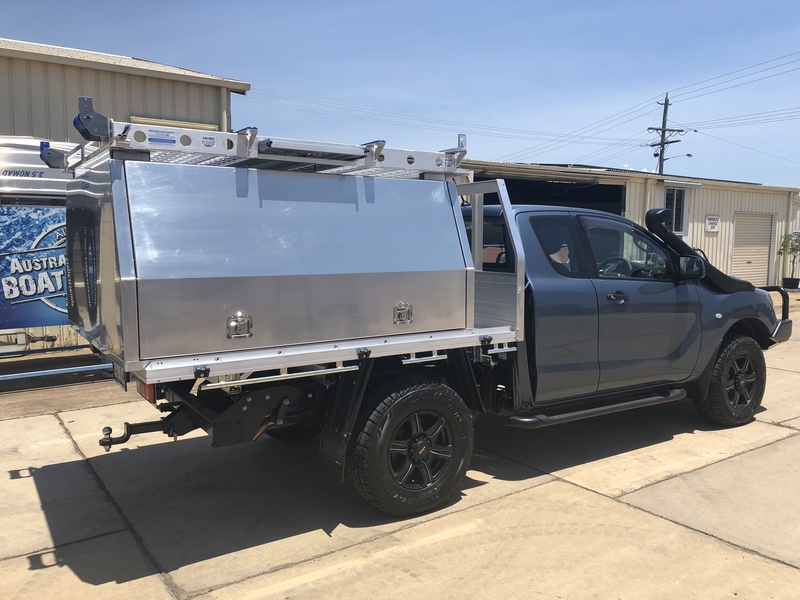 It can carry a tinny for up to 4 meters in length and is Rack Rated up to 150 kilograms, depending on the vehicle you are mounting it on. One-person operation ensures that it is simple and easy to get your tinny in and out of the water! 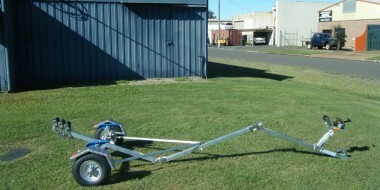 So why not get in touch with us and see how one of our easy to use, sturdy and simple boat loaders can offer you! If you are interested in our boat loaders and folding boat trailers, contact us today to see how you can make carrying your tinny easier. 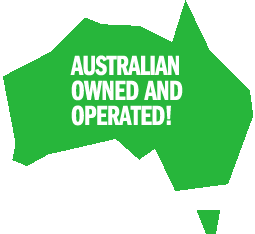 Phone (07) 4152 3737 or send an online message. 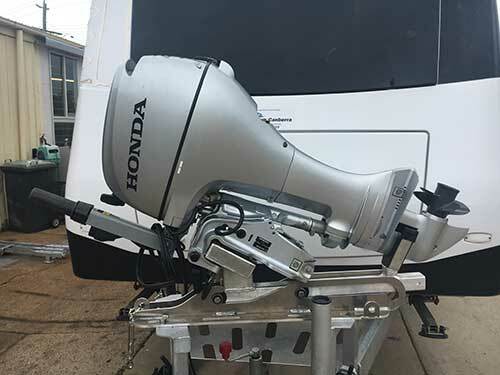 This is an easy and convenient way to move your outboard about. It can be wheeled into the back of your station wagon. 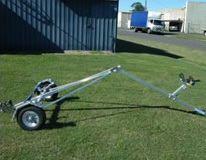 This is the simplest and most user-friendly way to transport your 4 stroke outboard. The slide is suitable for both long and short shaft and 4 and 2 stroke outboards. Weighs approx. 7kg and Ubolts to most A Frames. Welcome to our gallery section, here you will find a wide range of our products and a selection of some of our previous work. Interested in our products? Why not drop us a line about your customisation and talk to one of our experts? We love making sure our trailers are perfect for your needs and are always happy to have a chat and ensure you get the best boating system possible.